The Declaration on the Rights of Persons Belonging to National or Ethnic, Religious and Linguistic Minorities states in its preamble that the promotion and protection of the rights of minorities contributes to the political and social stability of States in which they live. Last month I discussed this statement with the body that had endorsed it in 1992. It was my 1st address to the U.N. General Assembly since my appointment 5 years ago as the United Nations' Independent Expert on minority issues. This post reprints that address, also available in full here. The report which I present to you today builds upon this important statement and considers the role of minority rights protections in conflict prevention. I believe that attention to minority issues and minority rights violations at an early stage – before they lead to tensions and violence – would make an invaluable contribution to the culture of prevention within the United Nations, save countless lives and promote stability and development. My report highlights that among the essential elements of a strategy to prevent conflicts involving minorities are respect for minority rights; dialogue between minorities and majorities within societies; and the constructive development of practices and institutional arrangements to accommodate diversity within societies. The link between minority rights and conflict prevention and resolution is clear and has been made by many. The basic assumption contained in the Declaration – that the implementation of minority rights contributes to the stability of States – has been taken up and developed in successive resolutions of the General Assembly, the Commission on Human Rights, its successor the Human Rights Council, reports of the UN Secretary-General and outcome documents of a number of conferences and policy processes, including the Durban Declaration and Programme of Action. It has also been recognized by regional inter-Governmental organizations, the donor community, and respected academic and research institutions and NGOs globally. According to a recent survey, over 55 per cent of violent conflicts of a significant intensity between 2007 and 2009 had violations of minority rights or tensions between communities at their core. In a further 22 per cent of conflicts, minority issues were raised in the course of the conflict. This evidence indicates that Governments, donors and intergovernmental organizations need to allocate significant attention and resources to minority issues as sources of conflict. II.Substantial steps have been taken over recent years to reposition international engagement with conflict situations from the point of reaction to a point of identification of early warnings. The evidence indicates that incorporating minority rights indicators into early warning systems is essential to enable an earlier identification of potential conflicts. Minority rights violations are often among the root causes of conflicts that have long gestation periods--root causes grounded in grievances that may simmer under the surface for years, or even decades, before violence actually breaks out. More typical early warning indicators, such as small arms flows and movements of displaced peoples, tend to reflect a situation that is already rapidly spiralling into violence. By the time those indicators trigger attention, grievances may have festered for decades, perhaps generations — generations of lost opportunities to heal rifts, to avert conflict and to build a cohesive society. There is mounting evidence that some of the earliest indicators of potential violence are chronic disregard of minority rights. Early warning systems must have the necessary expertise to be alert to these indicators. Better insight is needed into why certain situations of systematic exclusion escalate from chronic grievances to violent conflict. Early warning systems need to combine the collection of disaggregated quantitative data with more in-depth qualitative analysis to enable the identification of complex interactions between political, social and economic factors that help decide whether violent conflict will break out, and if so, when. Foremost among my recommendations to the UN is that minority rights expertise should be strengthened and integrated comprehensively across the United Nations system. Given the prevalence of conflicts involving identity issues, permanent in-house expertise on minority issues within the principal agencies and departments working on conflict prevention would be highly beneficial, in a broader context than solely that of genocide, war crimes, ethnic cleansing and crimes against humanity. While there is already a substantial flow of information to early warning mechanisms within the UN system, a focus on minority rights should be strengthened. III.Governments should take a proactive approach to minority rights, putting protections in place long before tensions erupt. Societies in which mechanisms are in place allowing minorities to freely use their language, practice their culture and religion, and participate in political and economic life on an equal footing with the rest of the population, are less likely to be societies in which tensions emerge and deteriorate into violent conflict. Many States are engaged in on-going efforts to accommodate the interests of diverse communities and many positive practices exist. What is important is to ensure that the State provides channels to raise minority issues and to allow minorities to participate in decision-making; that it constantly re-assesses the success of efforts to accommodate diversity; and that it is aware of the different options available. It is critical that this process be guided by the principles of non-discrimination. Minority rights must be prioritized, enabling members of all minority groups to participate effectively in decisions affecting them and in all aspects of society. The effective and meaningful participation of minorities in the political arena can be a pivotal element in avoiding violent conflict; however the reality is often quite different. Minorities are greatly underrepresented in the political processes and governing institutions of most countries because they are either intentionally restricted from participation, inadvertently disadvantaged by facially-neutral laws or policies, or because there is a lack of political will to dismantle structural barriers to the full and equal participation of minorities. States have significant leeway to decide the modalities by which political participation can be achieved, however, those modalities for inclusion must afford minorities genuine influence and should always ensure ample representation of minorities at all levels of the civil service, including the police and the judiciary. At the core of minority rights are protection and preservation of culturally distinctive identities within societies. The denigration or suppression of a person’s or groups’ defining identity or forced assimilation, can be powerful factors in generating conflict. Language, in particular, is a potent vehicle of culture. The imposition on minority communities of a majority language – either through teaching in public schools or formal prohibitions on the use of minority languages – has been a spark that has ignited many violent clashes in every region of the world. The Declaration on Minorities establishes positive obligations requiring that “States shall take measures to create favourable conditions to enable persons belonging to minorities to express their characteristics and to develop their culture, language, religion, traditions and customs”. The reality, and often even the perception of discrimination in access to any kind of resources – whether it is jobs, land ownership, political power, or natural resources – is a strong driver of conflict. Economic exclusion is a cause, a manifestation and a consequence of discrimination against persons belonging to minorities. Many minorities have historically been excluded from full and effective participation in economic life, both in the developed and in the developing world. Minorities are often discriminated against when they seek employment and are often poorly represented even in public sector employment. They may face barriers in accessing credit or loans and may live in the poorest or remote regions that offer only limited prospects for their economic development. Equally, large scale economic development projects or commercial activities carried out on the lands and territories where minorities live, without their prior consultation, has had negative impacts, including displacement, the perpetuation of poverty and, in some cases, violence. The rights of minorities to participate effectively in economic life must be fully taken into account by governments seeking to promote equality. Economic exclusion and denial of access to quality education can generate a sense of despair and destroy hopes of upward mobility. As such they are often a central grievance and a source of tensions. 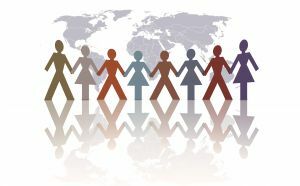 International standards on non-discrimination, including the Declaration on Minorities, place an obligation on States to institute affirmative action policies in order to correct historical patterns of exclusion and enable members of minorities to achieve equality. Many States have recognized the corrosive nature of inequalities and have implemented such measures. In my report I propose a series of recommendations to States to fulfil their human rights obligations, to increase political and social stability and to contribute to the prevention of violent conflicts. IV.I would like to conclude by noting the work of the Forum on Minority Issues. In my capacity as Independent Expert, I have been honored to guide the work of the Forum and prepare its annual meetings since it was established in 2008. The Forum has provided an important UN platform for minorities and the discussion of key global minority issues. It seeks to provide concrete and tangible outcomes in the form of thematic recommendations of practical value to all stakeholders. The inaugural Forum in December 2008 considered minorities and the right to education. The second annual session considered minorities and effective political participation. The third Forum will take place in December 2010 and will be dedicated to the issue of minorities and effective participation in economic life. I believe that the recommendations of the Forum offer States and others a hugely important resource in their efforts to implement fully the UN Declaration on the Rights of Minorities. Distinguished delegates, societies flourish when all voices are heard, when all opinions are considered; when all citizens participate; and when the talent that exists in all communities is enabled to contribute to political institutions and all aspects of society. Inclusion is good for societies as a whole, not just for those previously left out. So, creating the conditions for the effective participation of minorities in all walks of life should be considered by States as an integral aspect of good governance and a key priority in their efforts to ensure equality, non-discrimination and stability. Thank you.